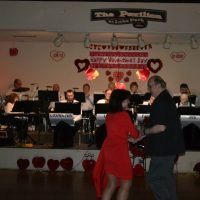 A couple enjoys the music of the Coshocton Lake Park Big Band at the Sweetheart Dance held Saturday, Feb. 9 at the Lake Park Pavilion. 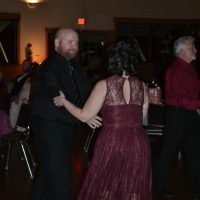 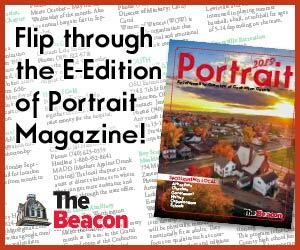 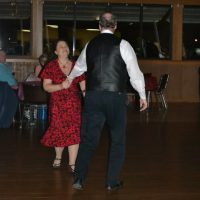 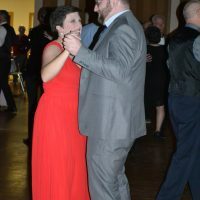 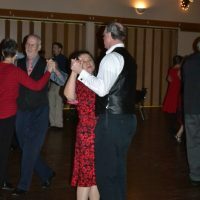 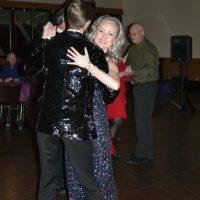 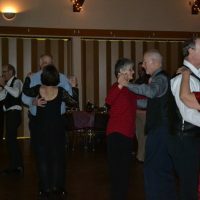 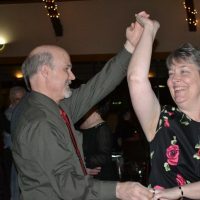 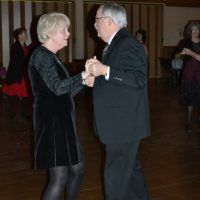 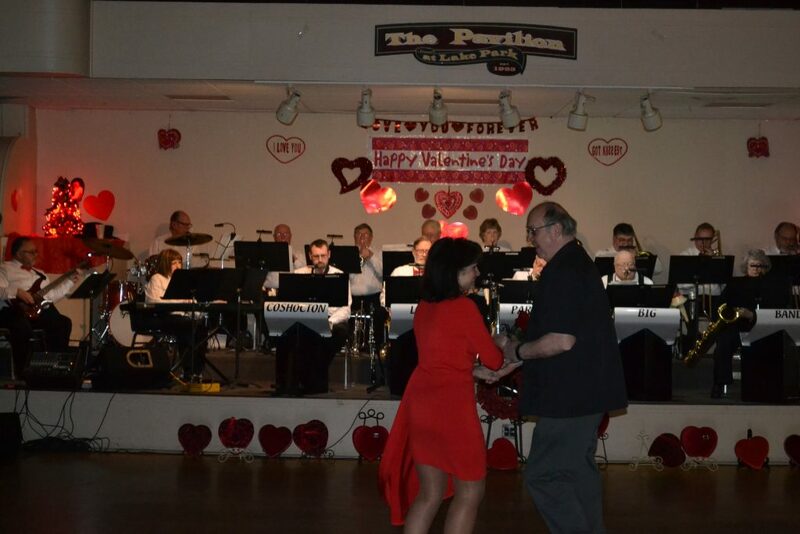 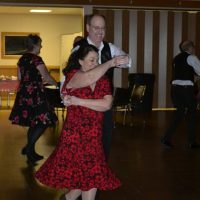 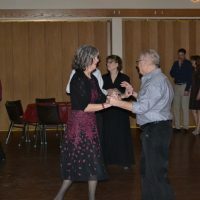 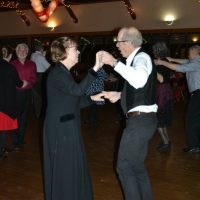 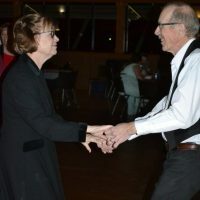 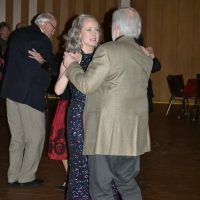 COSHOCTON – Music from the past filled the Lake Park Pavilion on Saturday, Feb. 9 when the Friends of the Park held their annual Sweetheart Dance. 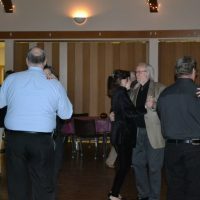 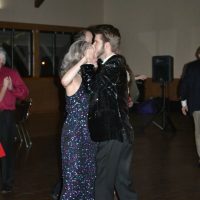 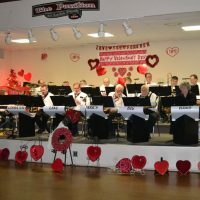 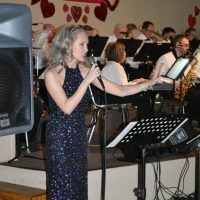 The Coshocton Lake Park Big Band provided music for the nearly 100 people who came to dance or simply enjoy the music. 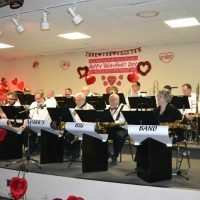 Lori Everhart, director of the park district, said the pavilion was renovated in 1996 and soon after, the Lake Park Big Band was created to provide music for events at the building. 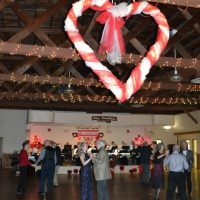 The Sweetheart Dance has been held since then. 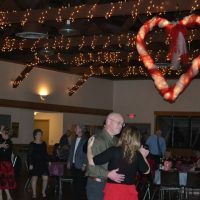 People who attended the dance could bring their own food and drinks or popcorn, pretzels and drinks could be purchased for a donation. 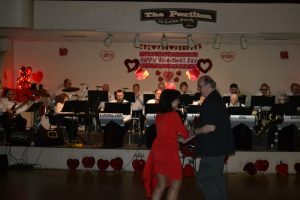 One of the singers for the night was Donovan Rice. 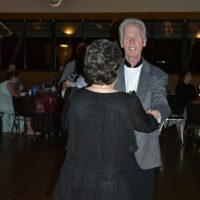 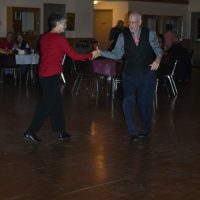 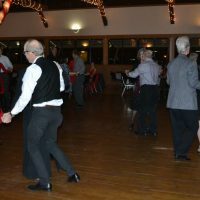 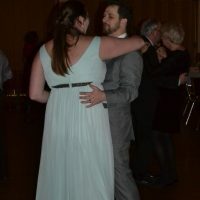 He has been attending the dance for about five years and really enjoys singing with the Big Band.